Enlargement from postcard posted 1913. 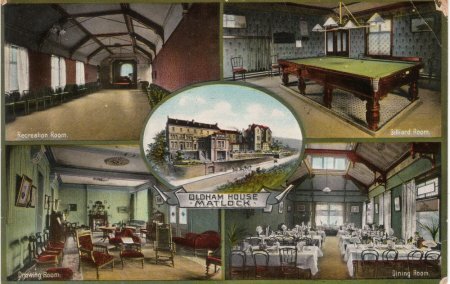 A fine card posted 1913, showing the rooms in great detail. From "The Borough Guide to Matlock", published about 1905.. 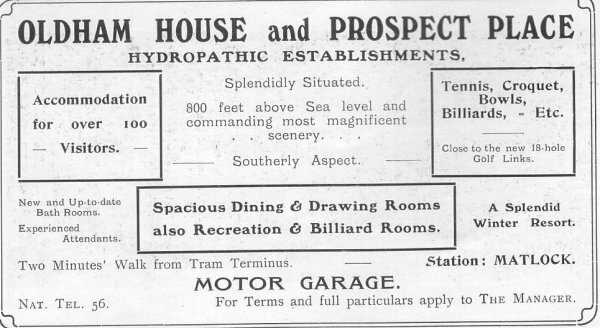 This Hydro was opened in 1890. 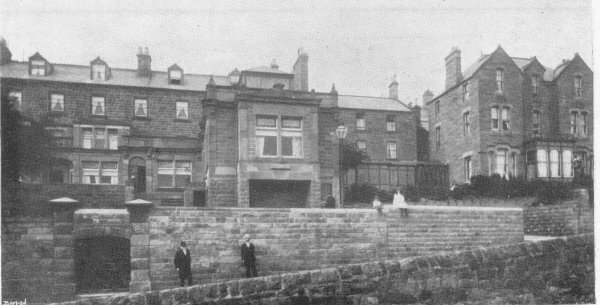 At the turn of the century it was amalgamated with Prospect Place, which had been opened in 1859 by Thomas Davis. 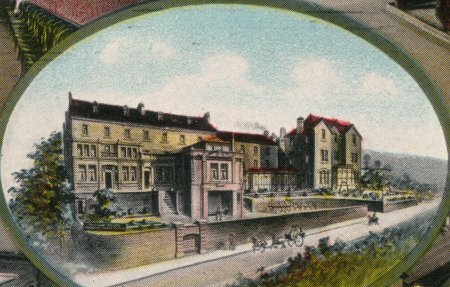 During World War II the hydro was used by the RAF as a hospital. 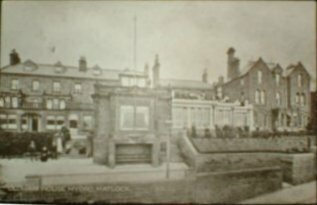 It later became part of Matlock Training College.